What do you guys think about knockoffs in general? Are they plain old "knock-offs" in the traditional sense or are they just someone's customs? Yes, I believe these are from Clone Brands or equivalent. I could be wrong but I don't think it is customised products. I'm not against them, they just wouldn't feel right (to me) next to my legitimate licensed figs. I do have my own custom antman that I made, but even then...he feels out of place just because I know he's not official. It just personally bothers me. I own quite a lot of these. I'll always say that the clones will not replace my original Lego figures but I pick them up for those figures that aren't available officially. Considering DeCool are now cloning Christo minifigures making them available for around £2 each rather than £30 I'm happy to pick them up. My Red Hulk Bigfig and Fantastic Four arrived this morning. I really can't argue with the quality and the printing. Some of the face designs aren't great but I normally replace those with proper Lego heads. I have no problem with customs. Even ones that are sold moderately. Like the "barely" mass produced lines some people make and sell like those Game of Thrones ones. I start to have problems with other large companies made clones and start making significant money off of them. I think of smaller operations in a more friendly manner because they usually are more comparable to something like fan art. They're more innocent or tend to be at least. Then we get just these companies trying to make good money off of looking as much like Lego as possible without crossing the legal line. It's like the difference between an artist and a corrupt businessman (not a non-corrupt one). I'm not a fan of these whatsoever; both because I don't support counterfeit products, and because a few of my Flickr friends have had their designs stolen and used on DeCool "figures". The first and third pictures look like customs and not knock-offs. The second definitely is and I have to say that I wouldn't touch those with a ten foot pole. Besides the severe lack of quality, I've also heard of them stealing the designs from customizers. And that's not even getting into the legalities of them making knock-offs of LEGO in the first place. Never ever supporting a business with practices like that. Customs, on the other hand... Pad printing is becoming more common and there are a few companies out there now with great designers printing after-market parts and figures. If I had the money to purchase some of them, I would. I've bought loads of customs over the years... spent a fortune with Christo during that time. The more good pad printing comes through on the customs over digital printing then hopefully the costs per figure will come down. Unfortunately it seems to be going up. Fooled me then. They certainly don't look as bad as the Iron Man ones. Still, I think it's safest to buy customs from a known custom company or customizer rather than taking a chance on unknown Ebay sellers. I love customes. I do my own purists and would love to buy from a reputable seller like Christo and the like. 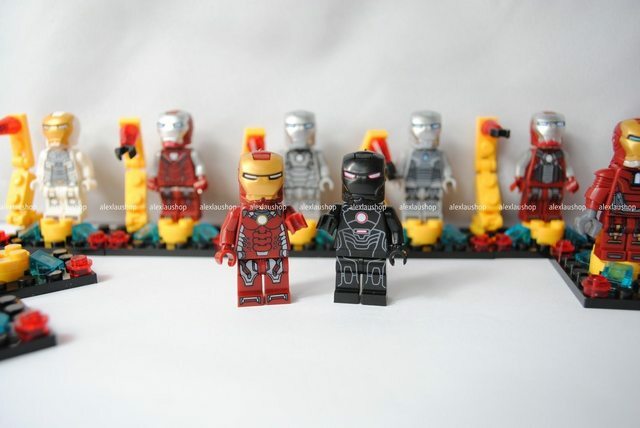 I am completely sick of waiting for Marvel, Disney and TLG to get me the minifigs I want. They move at a snail's pace and rehash too much. That said, I would not support a "company" that rips off designs from other small guys. I never buy anything that isn't made by TLG. I'm strictly a Lego purist. I support my favorite company. I think it depends. Obviously supporting counterfeits is not a good practice, but where does one draw the line? There seems to be a lot of loopholes that are present when it comes to IP. I don't know all of the rules regarding it. I bought some knock-offs a few weeks/a month ago and they were okay ultimately. I was surprised the quality wasn't that bad. It was different than official LEGO and the printing was off on some of them, but ultimately by looking at them it might be difficult to tell the difference until you get really close. I mostly bought out of curiousity. I can understand buying them to supplement certain figures that LEGO won't produce or just haven't yet. If there is a chance of them producing one, I will just wait and get the official. I think there is already similiar topic. I bough Decool figures and I was amazed by the quality of plastic and print. It was VERY Legolike. 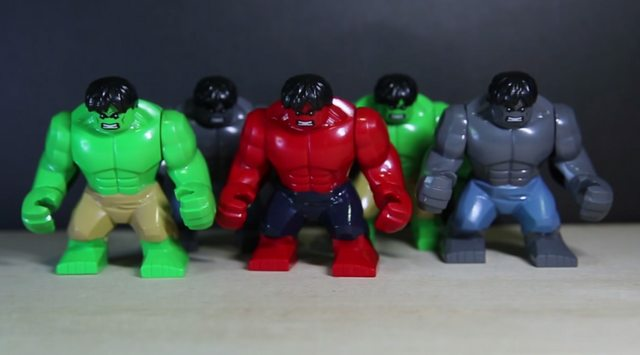 I must admit I want to buy Hulks because they are ridiculously expensive as original Lego figs. Each time you buy a figure of eBay or bricklink you have this fear you are getting a knock off - and some are almost impossible to distinguish. Quality is a concern - but I'm more concerned by safety. God only knows what materials have been used - when Mattel were shilling products smothered in lead paint then it's anyone's guess what features here in an environment with zero oversight. Copyright infringement is bad, but these things might actually harm a child. Many of these are literally clone brand knock offs of people's customs that have been published on the Internet. I figure it's gonna be a cold day in Hel when Lego gets around to making some of my favourite Marvel characters, like Moon Knight, Havok, and Archangel. I have to get my Super Hero Minifigure fix somehow. That's where customs come in to play. I'm not sure how many customisers use knock off minifigure parts, but the sellers I frequent say they use official Lego parts for their customs. Look, I spend a ton of money on Lego. 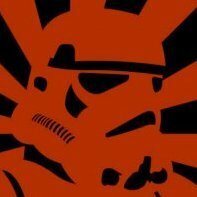 I feel safe in saying I "support" TLG. I really like these Chinese knockoff minifigs though. 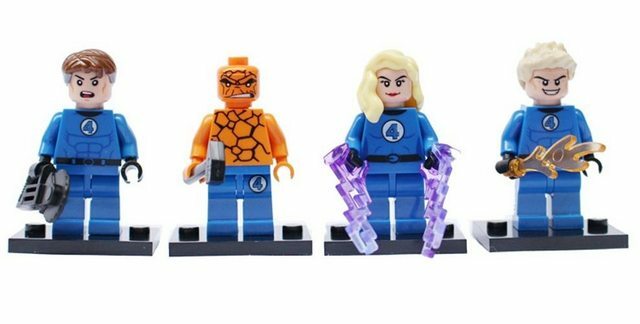 I won't buy any character that's received an official Lego fig, but I've happily bought the Fantastic Four, 90s Cyclops, Odin, Winter Soldier, etc. For the most part they're great quality-wise (though obviously not Lego quality). I will buy bootleg SDCC minifigs though because paying $2-400 for Green Arrow or Pheonix seems ridiculous. Those shouldn't have been SDCC figs in the first place. As long as Decool comes out with characters that TLG doesn't, I will totally buy them. And I'll replace them with official minifigures if Lego ever gets around to making them. I sort of go back and forth about how I feel about bootlegs. Truthfully, I don't consider it a whole lot different than buying a custom, at the end of the day both are producing and selling something they didn't own in the first place, but there are of course a few differences. Customs at least are made with real Lego parts and are sold in small quantities, so I don't consider them damaging to the market. The bootlegs though are made of inferior plastics and seem to be mass-produced, flooding the market. Also the bootlegs seem to steal designs from the customs pretty often. I won't lie, if I saw a good looking bootleg of the SDCC Spider-man I would buy it. If I saw a good bootleg of one of the video game designs I would be tempted as well. But there are some bootlegs I just wouldn't buy. Are you implying that those who purchase customs are not supporters of LEGO? If so, I would disagree with you. 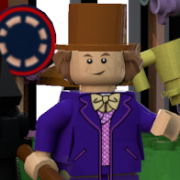 I've spent $1,000s in the past 2yrs on official TLG product but have realized that LEGO will most likely never make many of the Marvel and DC characters I love. Even if they do, why wait for years when I can have them now and replace them with official product later, if/when it ever comes out? 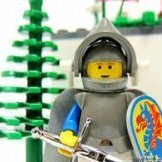 It's fine to decide to be 'purist' (I personally hate the connotation of the term, 'purist', but that is a whole other topic), but it imo, it does not make a person more supportive of LEGO, by any means, whatsoever. 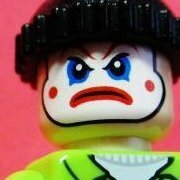 The thread is about bootleg minifigures. I have a a ton of customs, but I draw a very thick line between those and knock-offs. If they are made from genuine Lego parts, then they are customs (of which I fully support, and Lego untimately does make a profit), anything which is not Lego, is a knock-off, and that stuff can get tossed in the recycle bin with all the other Kre-os and Megabloks. I've looked into some of the prices on them yesterday and although they are knock offs, I'll admit they have put some thought on it with characters that TLG themselves have not produced yet. i.e Atrocitus of the Red Lantern corp. Still, as cool as that is, I'm going to stick to TLG products for now. Where are you finding bootleg Pheonix? I can find like, water-decal customs but otherwise nothing for her or spider-woman. This Ebay seller usually has some SDCC customs, I think they are currently selling a Spider Woman.